I managed to travel to the Cook Islands, China, Bali, the USA, Dubai and the UK, and each of those destinations were absolute highlights of my year. Not only was I out there exploring the world, but I was with the people I loved, which to me is more important than anything else. Nothing beats a Bali sunset! As for my bucket list, I went through it yesterday and felt pretty good about some of the things that I was able to achieve. I would have loved to have done more of it, particularly the self-improvement goals like daily yoga, meditation and the idea that somehow I’ll manage to stress less one day, but all in good time. So, what did I manage to tick off my list? Below are a few of the main bucket list items that I ticked off this year & how i went about it. 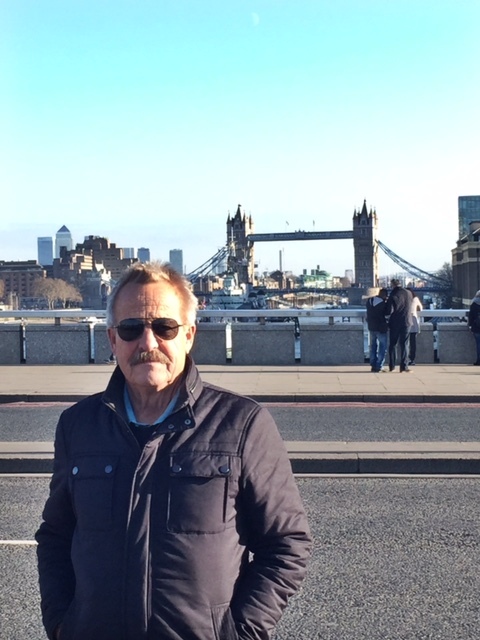 When I first wrote my bucket list, my Dad would often chime in and say he’d love to do this, or love to do that …. And then one day he mentioned ‘Go to the UK’, so I made a note of it and decided that this year, when I came back to the UK with my BF Scott (who is from the UK), I would shout my Dad a ticket and bring him along with us. I knew that I wanted to do something more for people. To give something back I guess, so I figured why not start close to home. And, as I write this we are in London and have just experienced New Year’s Eve with family and friends in the UK. It’s been pretty cool to see his eyes wide with wonder as we explore the city and he experiences all of the sites for the first time. It has also been really cool to spend this time together (which is pretty rare in the busy lives we both lead), so I don’t look at it as though I’m giving him a trip, It’s more that I’m giving us time to explore some of the world together, and that in itself is priceless. For as long as I’ve done Yoga I’ve wanted to do a retreat in Bali. There is just something about it that always called to me, so it was absolutely PERFECT that one of my favourite Yoga teaches Lis White http://liswhiteyoga.com/ hosted a 6 day retreat in Bali, back in August. Not only was the Yoga wonderful, as it allowed me to deepen my practice and immerse myself in something I love, but I was able to share it with my Mum, and one of my best friends Alana, as well as a wonderful group of people who definitely added to the experience. Again, I felt so grateful that I was able to do something I love, whilst spending time with people that I loved, so the whole experience was magic! I’ll do a full post on the retreat in the New Year, but if anyone wants the info, then please let me know. There is PLENTY of Yoga in Bali to enjoy! Ah the serenity! Our Yoga space. Hike in Yosemite National park, and harness one of my fave photographers Ansel Adams, and capture my own photos. I’ve had a love for photography since I was about 15 years old, thanks to my very talented Uncle who shared his passion for it with me back when I was in high school. The first photographer that I was exposed to was Ansel Adams, and his landscape images of Yosemite National Park. He made his career by photographing Yosemite, and the photos that I studied were truly out of this world, so I had always longed to go to Yosemite myself and capture images of my own. Luckily I managed to sneak in a visit to Yosemite this year when we went to Vegas in the USA for a friend’s wedding in September. We took an extra week off and drove from Vegas to Yosemite, and spent 3 days exploring the park. While I could have spent days there discovering all the different angles and areas around the park, I managed to get in as much as I could with the time I had and I have to say that the park is absolutely breathtaking, and I was so glad that I was finally able to get there to hike and take some photos of my own. 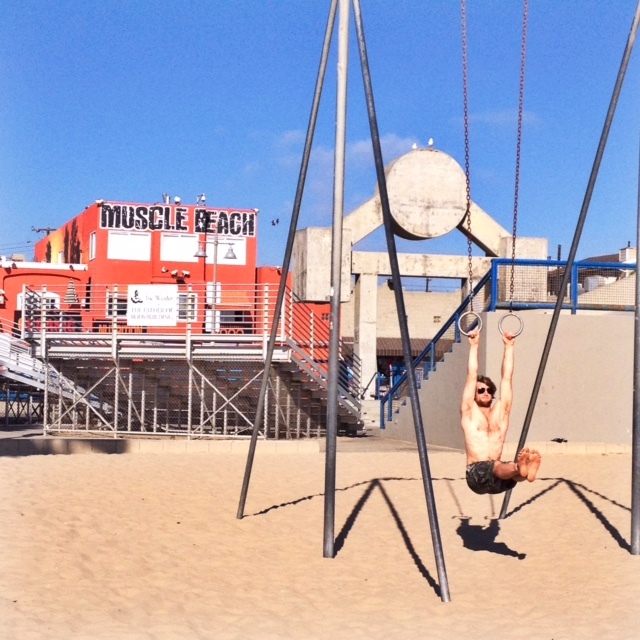 Increase my weight training and smash out as many chin ups as I can, on ‘Venice Beach, California in August 2014. Ok, so this is a little less life changing and a little more superficial, but this year I REALLY wanted to strive for something for my health and fitness, and with too many personal trainers and health professionals in my life to count, I figured that I should take advantage of that. Strength training has always interested me as I’ve never been one to run on a treadmill for hours, and being a slightly competitive (ok, very competitive … with myself mostly) I know that achieving goals is something that I love to work for, so setting a goal like ‘Do 10 Chin up’s at Venice Beach in August’ was a pretty fun target. Visit Dubai, dine at Jumeirah underwater restaurant. This is also a sort of half fail, but I’m counting it anyway. I got to visit Dubai. Finally after years of planning stopovers for others, I managed to get there myself and I loved it! While I did make it to Dubai, I didn’t dine at the underwater restaurant, but that’s ok … because I think I ended up with something better, and that was dancing to David Guetta, on the beach with good friends. The restaurant was PRICY and only having a short stay in Dubai meant using our time wisely, and good friends and a fun night out was a little more important to us than a fancy meal that we will most likely have an opportunity to have again… so the underwater dinner will have to wait. Anddddddddd that’s about it for specific ‘Bucket List’ moments. There were no weddings, babies or the holding of a ‘Free Hug’ sign in a big city, but that’s OK. My bucket list isn’t a list of things to do ALL in one year, but of things that I want to include in my life over time, so I’m not worried. I am kind of at that stage where I’m trying to trust the timing of my life, so let’s see where this new year leads. Plus there were plenty of other wonderful experiences that weren’t necessarily on my list, that were meaningful and fulfilling all the same. If you want to check out the rest of my list, go to: http://mytravelust.com/the-lust-list/, otherwise do you have a bucket list? What are your goals or plans for 2015? I’d love to hear your ideas! In the meantime I wish you all a wonderful New Year, and hope that 2015 is your best year yet. Full of love, laughter, good health, adventure and new experiences. ← Giving the gift of time and travel this Christmas!